Spicy and savory, deep and complex with more descriptors than I can summon, I have found a way to taste ten more wines in the span of a little longer than a week. In an effort to mitigate the looming countdown, I find myself hardly turning down a glass of wine—whether I drink it all or not—in the hopes of finding something exciting and learning a bit about each particular offering that is poured. Sometimes I have to look harder for the silver lining but I am beginning to appreciate the search and opportunity (occasionally) because it is often tailored to an experience. Clos du Bois (#137) Cabernet Sauvignon was not a finer moment in the countdown, not an all-time low but not far from it, as it played an end cap to an action packed day that spanned driving from LA to Orange County and back. I was hanging out with a fellow graduate of UCLA all day, doing errands and visiting my cellar in the OC with the promise of subtracting a few bottles of wine from my daunting five hundred figure. We uncorked two bottles of wine with the common thread being France. 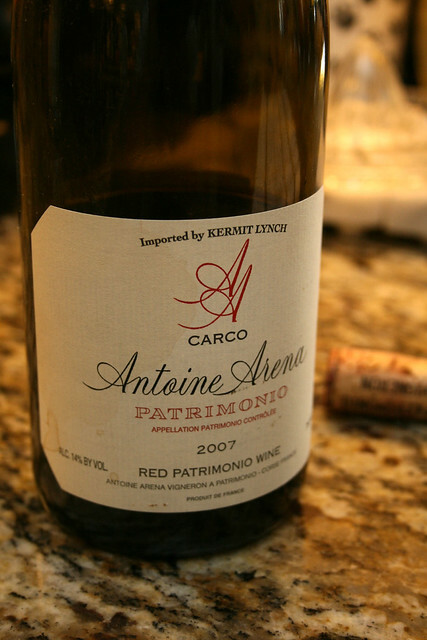 The first was a bottle of Antoine Arena’s 2007 Red Patrimonio from Corsica (#136) that we shared on our beat to the OC in Long Beach with my mom. A dusty fragrance of earth, spice and leather gave way to old world fruit. The wine was enticing and possessed all the charming characteristics of why someone would praise the know-how of French vignerons. The wine did a lot to incite our appetite and we finished up the random chore for my mother, b-lining it to a burger joint on PCH in Seal Beach. 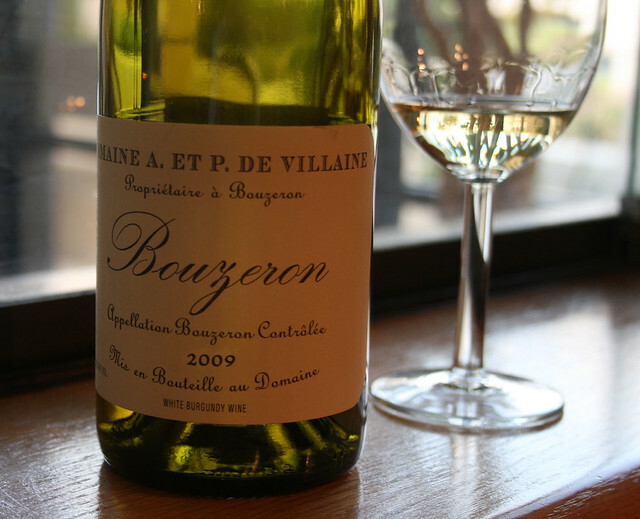 With our bellies full of simplified California burgers, we headed down to my cellar and split a bottle of Aligoté—the second child of Burgundy’s white grapes (the premier being Chardonnay)—from Bouzeron (#135). The wine was decidedly more aromatic with spices (coriander, etc. ), white nectarines and citrus dancing rhythmically in the olfactory as the palate bore medium density but expressive flavors that followed the nose. We played pool at my cellar club and had wine until the day wrapped up and we were good to cruise back up to the bustle of LA. After my friend left back for his home in San Francisco, I was inspired to continue the countdown, popping a few samples with friends the next night, including a bottle of Curtis Winery 2007 Heritage Cuvée (#135) from Santa Barbara with a mixture of darker fruits, oak, spice and a little bit of alcohol that singed the nostrils. 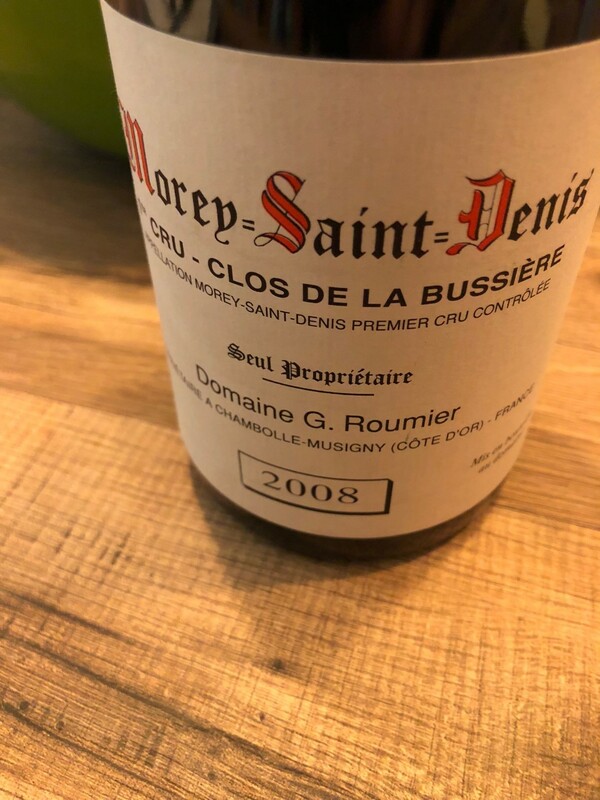 The wine had a nice texture and good balance between fruit and spice that stemmed from the Mouvèdre, Syrah, Grenache and Cinsault cohort used in its making. On a separate night I had unscrewed a bottle of 2009 Kings Ridge Pinot Noir (#134) that showed textbook coloring and flavors that were really true to the varietal and especially accurate to fruit from Oregon. I was not blown away but I appreciated the accuracy and looked to bring a couple bottles into my shop for the entire package—label et al. Continuing with the samples I revisited the Cielo Farms Honey Pie (#133) with some friends, a blend of Sauvignon Blanc, Chardonnay and Muscat which proved to be the Malibu version of Caymus Conundrum. Again nothing too awesome, but it was more than serviceable. 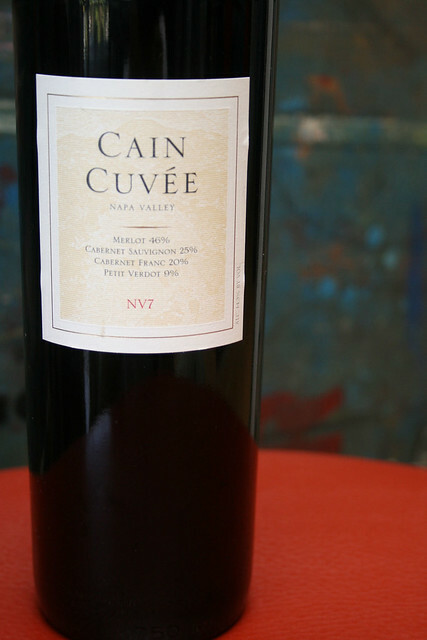 Then there was a family dinner, which featured a bottle of Cain Cuvée (#132) from Napa Valley. We let the bottle breath before dinner, resting it to show better than it might have had we popped and poured it quickly. Giving the Bordeaux blend a fighting chance to show itself, the dry red wine proved a fit accompaniment to my mother’s chateaubriand with standard fixings. It was full, with a lot of fruit and savory notes that help balance the dinner and highlight elements in both. And then there was Thanksgiving, the apex of food, where tradition was observed and recipes were elaborated upon in the retelling. Knowing that there would be some minor improvisations to the feast I employed four bottles of wine with the purposes of living lavishly on the day of thanks and having something to pair with every course. I got off work late and travelled with another friend—writer of DetroitonLion—to Long Beach to sup with my family. We popped the bottles beginning with the 2009 Fleurie from Domaine de la Chapelle des Bois (#131) that served as a firm handshake, readying our palate for the bounty of food. We quickly transitioned into a glass of 2009 Foxen Chardonnay (#130) from the Tinaquaic Vineyard in Santa Maria Valley. The Chardonnay had moderate straw coloring with an intense (as much as a non-aromatic varietal could have) bouquet of candied green apples, white flowers and some orange zest. It was a nice riposte to the creamy squash soup and after the primo piatto came the main course. We segued into the 2009 Evening Land La Source from Eola-Amity Hills (#129) in the Willamette Valley of Oregon. That wine was delightful, portraying a delicate nature juxtaposed with a focus and intensity on the palate that most Pinots do not possess. It was on another level and lived up to the reputation that it had garnered. For dessert we poured our last wine of the evening, a Monbazillac from 2001 by the Comtesse de Berlan (#128). The wine looked of a gold bouillon, with heavier fragrances of stone fruit, honey and nuts. The wine had lost some of the over-bearing sweetness and adopted much subtler flavors. 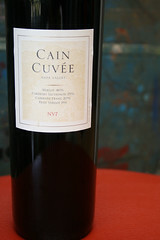 It quarreled with the spice of the pumpkin soufflé a bit, but it showed well for a wine that had aged a decade. Each wine experience is different, sometimes there are similarities or overlapping flavors that make the wines tough to sift through but it is the good wines that have an ability to transcend the ambient noise, making their presence felt. 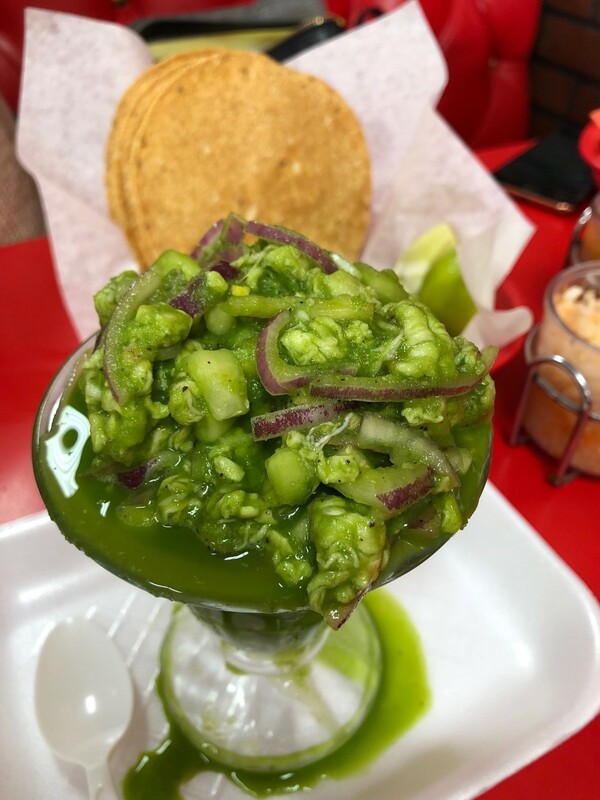 As I continue blogging and tasting into the future I am certain that there will be those bottles that can define the moment they were served and ameliorate everything. My inability to select the perfect adjective for each wine, neither elucidating nor getting my finger on the essence of the wine is the very thing that makes some of these bottles so special. They cannot be defined easily. I had a couple of those wonderful moments on my latest go-round and have had a lot on this trip to five hundred but here’s hoping there will be many more. Proost!